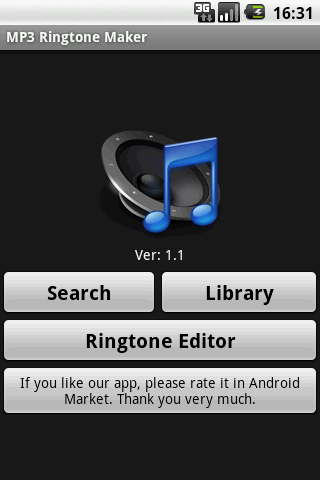 Wa, it just names as Ringtone Maker, which allow you to creates ringtone, alarms, and notifications from MP3, WAV,AAC/MP4, 3GPP/AMR files. You can set the start and ending notes by sliding arrows along the timeline, by pressing Start and End to record the point, or by typing in time stamps. 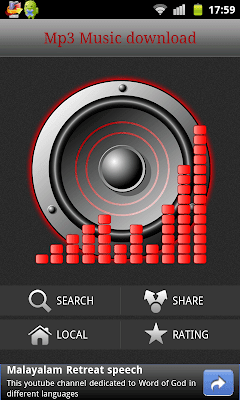 What makers it different from others is that fading in/out for MP3, adjusting volume, and share by e-mail. You can even also copy, cut and paste with the latest version. This app's logo tells what can it can do. 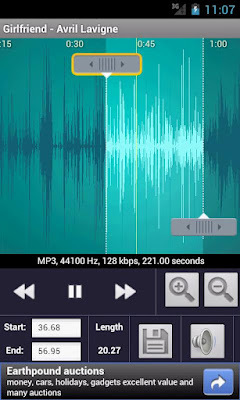 You can use it to create your own ringtone, alarm, or notification sound from an existing audio file, or record a new one directly on the device. You can read its review to know that most guys recommend it for no ads, no unnecessary permits. The common point is that Tthis application can customize your ringtone and alarm or Notifications. As it is a Pro version, it supports more file formats than the simple version. You can cut and add effect to any sound file to make a ringtone fast and easy. Guys who hate ads have to keep in mind that: it gets ads. A user said: this app has all of the most current music from a wide variety of artists and genres from around the world. As I tried now, it works perfect, useful for cutting out long intros for ringtones, ripping songs from mixes, and sampling single one-hit sounds for notifications. Well, as its name contains "download", but it not only can download mp3 files(which can download fast and of good sound quality) but also edit mp3s and make them as ringtone. This apps is a mixed app, so it can be a cool choice for friends who like to download music by phone.